The port authority says Rainer Ritter's assessment of its performance smacks of ill intent. NamPort has slammed a recent report by independent analyst Rainer Ritter, who said the port utility was unable to repay a N$3.4 billion loan because of declining business at its Walvis Bay and Lüderitz ports. Ritter also questioned the more than N$20 billion investment in infrastructure, which is supposed to transform Namibia into a logistics hub for the Southern African region. NamPort says Ritter “slanderously” suggested a general lack of effective governance by making “blatantly incorrect and uninformed” representations. NamPort says it has a competitive pricing regime, which was confirmed in a recent World Bank-sponsored study conducted by Maritime and Transport Business Solutions, an international firm of port consultants. This report was based on a survey conducted in 2018, which showed that NamPort's tariffs were lower those charged by other ports. NamPort and the Walvis Bay Corridor Group (WBCG) conduct regular assessments of regional ports to compare their pricing. Two studies are scheduled to look at comparisons with the ports of Durban (South Africa), Beira (Mozambique) and Dar es Salaam (Tanzania). These studies will provide up-to-date insight into Namibia's standing in terms of logistics chain costs. NamPort rejected Ritter's assertion that NamPort's annual tariff reviews exceeded the Consumer Price Index (CPI). To the contrary, it said, its tariff adjustments have been below or on par with the CPI, except for the 2013/14 financial year, when it had to recover the costs of material investments. The company said since 1994 it had made “immense investments with very limited borrowings”, until recently when it obtained the N$2.9 billion loan from the African Development Bank (AfDB) for its new container terminal project. Moreover, it said, Namibia's size in comparison to countries such as South Africa pushed comparatively higher tariffs here, given the lower volumes from which fixed overheads must be recovered. It said importers and exporters assessed the cost of logistics as a full chain from source of supply to their doorsteps. This includes sea freight, port charges, transportation, warehousing, transit and border charges. Namibia is on the western seaboard, which is further away from the main source and destination markets in Asia. NamPort says this means that it is more expensive for Namibians to ship goods to and from Asia than it is for importers and exporters in South Africa and East Africa. Also, Namibia has a general shortage of inbound loads for transporters, in contrast to other countries. NamPort further said it was incorrect to assert that its vessel calls had decreased due to punitive port charges. It said the shipping industry globally had recently undergone immense viability challenges because of operational costs, increasing competition and declining shipping rates, which led to shipping lines increasing their vessel sizes on the main routes from Asia to Europe and Asia to Africa. 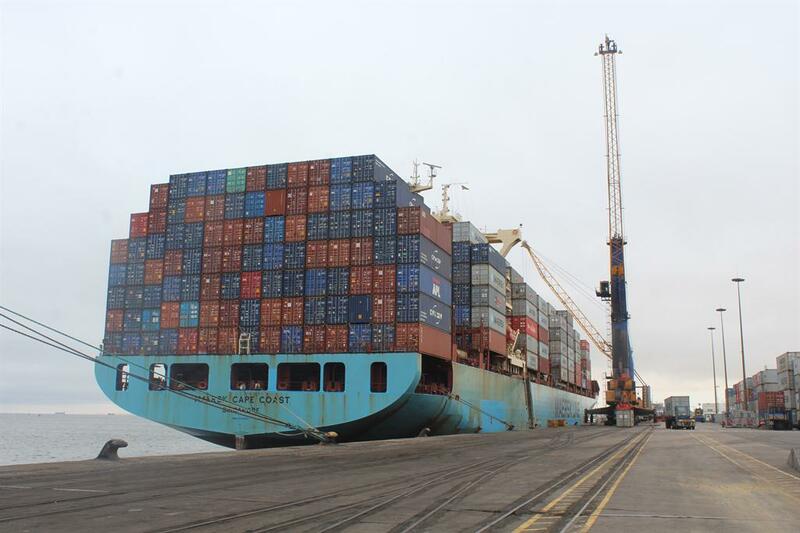 NamPort said the reduction in vessel calls to its harbours was not a factor of its charges, but a worldwide trend where shipping lines drive down their operational costs. NamPort also dismissed Ritter's argument that cargo volumes at its harbours had declined because of its pricing. It said increases or decreases in cargo throughput were not necessarily due to pricing but to the direct result of economic activity in ports' catchment areas, more so given the fact that 90% of the world's trade was by sea. It stated that cargo volumes in SADC had grown significantly over the last 15 years, to more than 600 000 tonnes of cargo per year. That meant a direct contribution of more than N$600 million to the transport and logistics sector in Namibia. Walvis Bay used to be the port of choice for southern Angola's imports but the flow of imports decreased after the fall in oil prices and the liquidity crunch in Angola. The Walvis Bay port also handles chemical imports for Zambian mines, as well as ore exports from that country's Copperbelt via the Walvis Bay-Ndola-Lubumbashi corridor. Although there was a slump in copper prices, there has been exponential growth and a concomitant surge in imports and exports recently. NamPort said due to the battering of uranium prices, it stood to lose revenue of up to N$25 million in the current financial year.